One of the important factors crucial for the growth of the global brain disease market is technological advancement. Recently, scientists at the University of Utah Health and Stanford University have found a way out in the form of a targeted therapy treatment that slows down the progression of or improves a couple of degenerative brain disorders, viz. ataxia and Lou Gehrig’s disease, which is another name for amyotrophic lateral sclerosis (ALS). WHO has already estimated a billion people to seek treatment for neurological disorders globally, yet there are fewer treatments available today. While the need for brain disease treatment is urgent, highly targeted and noninvasive treatments such as focused ultrasound approved by the Food and Drug Administration (FDA) could attract attention. With the advent of rare brain disease called ‘rat lungworm disease’ in the Hawaii state of the U.S., the need for accurate and responsive treatments is expected to increase significantly. While some scientists argue that humans need less sleep with the progression of age, such changes in sleep hours could aggravate the disintegration associated with brain disorders such as Alzheimer’s disease. Moreover, people above 30 years of age suffering from broken sleep and difficulty sleeping are exposed to a greater risk of brain disease. As a result, with a growing number of population aging above 30 years and rising risks of brain disorders, the growth in the global brain disease market could gain a strong impetus. 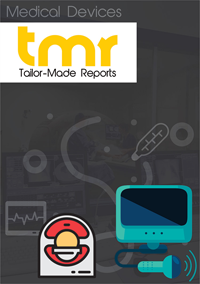 Other factors that could contribute toward the growth of the global brain disease market include the demand for brain monitoring devices and growing occurrence of neurological disorders. Any damage caused to the brain through injury or health conditions – commonly known as brain disease – can come in different forms, such as infections, trauma, tumors, seizures, and strokes. Headaches, migraines, poor muscle control, memory problems, vision problems, and vomiting or nausea are some of the common symptoms of brain diseases. Treatments which are available for various brain diseases depend on the diagnosis. The common treatments include drug medication, surgery, radiation therapy, and chemotherapy. Based on the type of infections, the brain disease market can be into meningitis and encephalitis. Meningitis is characterized by an inflammation in the delicate membrane (meninges) that surrounds the brain and the spinal cord. It is commonly caused by bacterial and viral infection. Encephalitis is characterized by an inflammation in the brain tissue. Meningitis and encephalitis commonly occur together and are collectively termed as meningoencephalitis. Based on the type of trauma, the brain disease market can be segmented into concussion, traumatic brain injury, and hemorrhage. Concussions are highly traumatic brain injuries that affect brain function and result in loss of consciousness and headaches. A traumatic brain injury can lead to permanent brain damage with mental impairment and can also cause changes in the affected individual’s personality. Bleeding in the brain caused by an injury or high blood pressure is referred to as hemorrhage. Based on the type of tumor, the brain disease market can be segmented into brain tumor, hydrocephalus, and glioblastoma. Hydrocephalus is a condition in which there is an increase in the amount of cerebrospinal fluid inside the skull, while a glioblastoma is a brain tumor that is highly cancerous and usually occurs in the cerebrum of adults. Based on geography, the global brain disease market can be segmented into North America, Europe, Asia Pacific and the rest of the world. For 2016, North America held the leading position in the market, followed by Europe. The key drivers for the two regions include a consistently increasing prevalence of neurological diseases and a rising demand for technologically advanced medical equipments for treatment. According to the Central Brain Tumor Registry of the United States, around 350,000 brain and nervous system tumor cases have been registered in the U.S. European countries are also expected to show a steady growth rate in the global brain disease market. In the next few years, Asia Pacific is likely to show a remarkable growth in the brain disease market through fast-paced developments in healthcare infrastructure and a growing demand for advanced treatments. Other factors which could fuel the growth of the market in Asia Pacific are a growing awareness regarding various brain disorders and an increase in the number of patients getting affected with neurological disorders. It is expected that with time, there will be an influx of more well-established players in the global brain disease market. Some of the leading players operating in the brain disease therapeutics market for 2016 were Medtronic, Inc., AstraZeneca plc, F. Hoffmann-La Roche Ltd., Boston Scientific Corporation, Sapiens Neuro, and Omeros Corporation.